The BFI and the Institute of Contemporary Arts (ICA) have announced two seasons dedicated to the critically acclaimed Argentine director Lucrecia Martel. The seasons, which are programmed in partnership and in parallel with one another, will take place at BFI Southbank (CLOSE-UP: LUCRECIA MARTEL from 21 May – 7 June) and the ICA (ICA Lucrecia Martel Retrospective from 20 – 27 May). Since the Argentine director came onto the scene with her debut feature La Ciénaga, fans of her work (who include Pedro Almodóvar) have eagerly awaited her next project. As her latest critically-lauded film Zama (2017) is released by New Wave Films in UK cinemas, BFI Southbank and the ICA will showcase Martel’s work alongside special events and talks, including onstage appearances by the director at both venues. Zama will open at cinemas across the UK, including preview screenings and extended run at BFI Southbank and the ICA, following its Special Presentation in association with Sight & Sound at BFI London Film Festival 2017. This adaptation of Antonio Di Benedetto’s existential novel is Martel’s first feature since 2008’s The Headless Woman, and is a richly layered exploration of personal malaise. Daniel Giménez Cacho plays a minor officer in an unnamed colony of the 18th-century Spanish crown, desperate to relocate from his remote post to the city where his family lives, but who is beset by endless bureaucracy. A preview of the film at BFI Southbank on Tuesday 22 May will be followed by a Q&A with Martel, who will discuss her new work, as well as her career thus far. Also screening in both seasons will be Martel’s debut feature La Ciénaga (2001), which tells the story of 50-something Mecha and her husband Gregorio, who are gloomily trying to cope with their teenage kids. Their lives parallel that of Mecha’s cousin, who lives in the nearby town of La Ciénaga. Soon, family tensions and resentments bubbling under the surface threaten to blow up in the cramped and heated conditions of both families. The screening of La Ciénaga on at the ICA on Sunday 20 May will be followed by a Q&A with Martel. The Holy Girl (2004), (at BFI Southbank on Monday 21 May and ICA on Wednesday 23 May) also set in La Ciénaga, focuses on two teenage girls discovering their sexuality and an intense religious devotion at the same time. An incident during a medical conference at her mother’s hotel puts one of them on a mission of faith and discovery. Completing the line-up of Martel’s features is her take on the psychological thriller, The Headless Woman, (at BFI Southbank on Friday 25 May and ICA on Saturday 26 May) in which a woman unravels after she thinks she has accidentally killed someone on the road. Also taking place at the ICA will be a programme of Martel shorts, curated by the director herself, and the UK premiere of the documentary Light Years (Manuel Abramovich, 2017), which reveals the story behind the making of Zama. For those wishing to delve deeper into Martel’s work, there will be The Close-Up Salon: Lucrecia Martel at BFI Southbank on Sunday 27 May. This afternoon of illustrated presentations and rich discussion will carefully unravel Martel’s intricate and enigmatic filmmaking, considering how gender, race and class function in her films, as well as the importance of Argentine history and national identity. The Institute of Contemporary Arts (ICA) will run their ICA Lucrecia Martel Retrospective from 20 – 27 May. 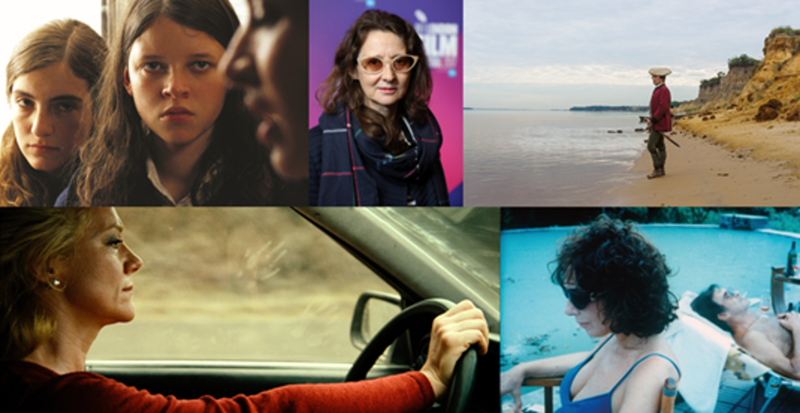 CLOSE-UP: LUCRECIA MARTEL (21 May – 7 June) is the latest in BFI Southbank’s CLOSE-UP series, which focuses on vibrant and important voices currently working in the industry who have produced a small but significant body of work.